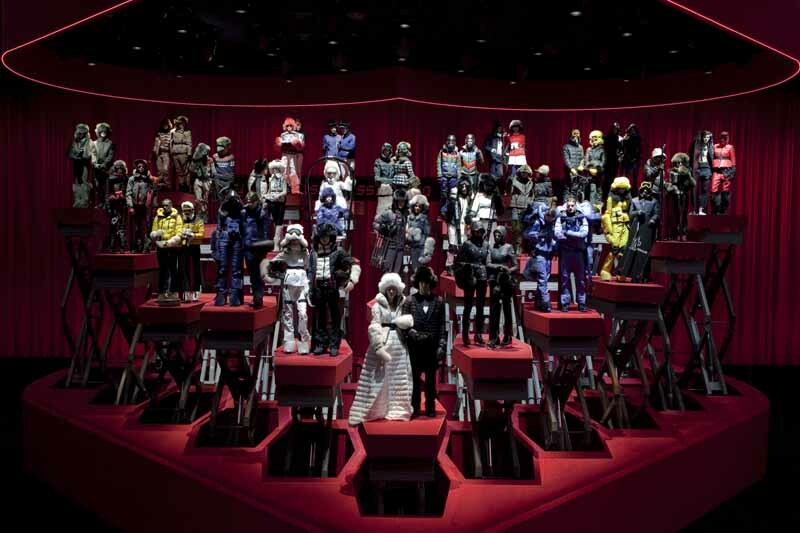 NEW YORK, Feb 21, 2015/ — The most memorable show of the New York Fall 2015 season, Moncler Grenoble #LoveFactory collection just captured everyone’s heart on Valentine’s Day. The stage is set for lovers; a gargantuan heart in red with red lights cascading from the ceiling. With Frank Sinatra crooning “Something Stupid” on the background, the top part of the heart started moving up followed by pairs of male and female models standing on platforms that were going up and down in a timed sequence. As the saying goes, if you can’t beat them, you join them. Hence, the #LoveFactory theme for the show and all the love songs that included hits from the 1960s to the 2010s.